Kenya is interested in direct tea export to Kazakhstan. These remarks were made at a meeting of Kazakh ambassador to Egypt Berik Aryn with Kenya's Minister of Foreign Affairs and International Trade Amina Mohamed. The meeting took place during the ambassador's visit to Nairobi, the capital of Kenya. During the meeting, Amina Mohamed noted Kenya intends to intensify the bilateral relations with Kazakhstan. She said the two countries have great potential to increase the volume of the bilateral trade that exceeded $73 million in 2013. She believes one of the ways to achieve this is to start direct exports of Kenya's tea to Kazakhstan. 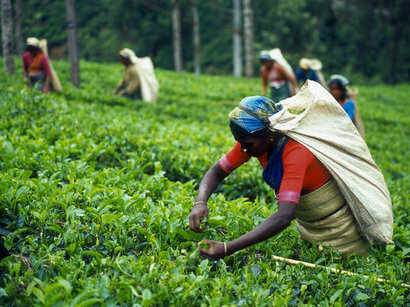 The tea industry in Kenya is unique in that it is comprised of two distinct sectors: the large scale sector and the small holder sector. The tea growing regions in Kenya are endowed with the ideal climate for tea. The main tea growing areas in Kenya are situated in and around the highland areas on both sides of the Great Rift Valley. These regions include the areas around Mt. Kenya, the Aberdares, and the Nyambene hills in the Central Kenya and the Mau escarpment , Kericho Highlands, Nandi and Kisii Highlands and the the Cherangani Hills.